In 1999 Sula moved to the East Coast. 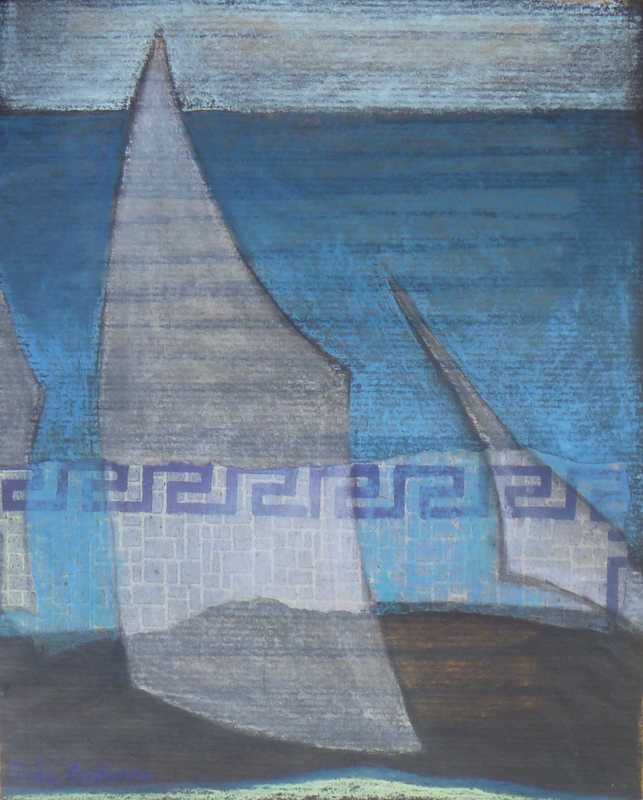 This coast with its tides, erosions, reed marshes, ships and the everchanging light had a strong influence on her work. 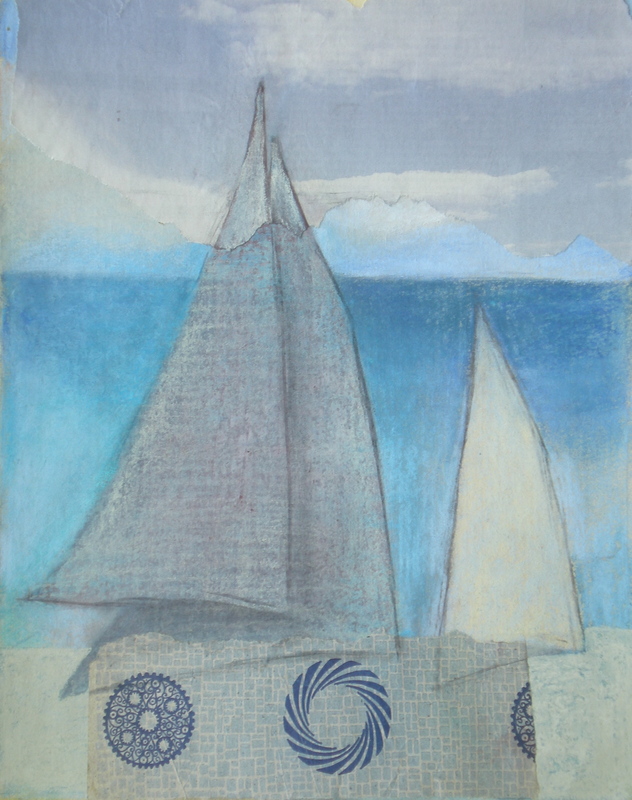 In the paintings, prints and collages she often incorporated references to objects such as photographs, postcards, printed book pages, labels, postage stamps, discarded scraps of wallpaper or textured floor lino as well as drawings. In 2012 she was invited by Caroline Wiseman to be Artist in Residence in the South Lookout Tower on Aldeburgh beach in Suffolk. Click on images to enlarge. Click again for close up detail. 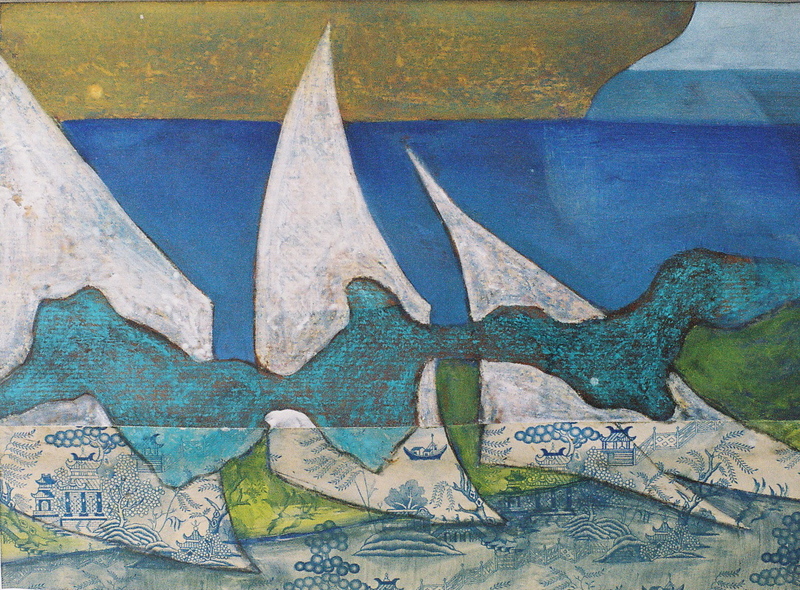 More images can be found on this link to flickr and viewed in the Sail/Sea series.